A look at comments do belong in the database code and should include at least the Who & When of the last change made. 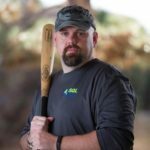 A brief look at SQL Saturday #232 and what I’ll be speaking on during the event. A brief look at taking a Microsoft SQL Server database offline.